1. What makes historically Black Greek organizations different from other sororities and fraternities? A. Historically Black Greek organizations were founded to bring African-Americans together and develop unity on college campuses early in the 1900s at a time when opportunities, of this nature, for Blacks did not exist. The common mission statement for all historically Black Greek organizations is best articulated in the National Pan-Hellenic Council’s (NPHC) mission statement. Find out more about the NPHC and Black Greek organizations at www.nphchq.org. 2. Why is it important for Black Greek organizations to strive for unity? What is the NPHC? 3. 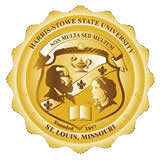 Which historically Black Greek Organizations are at Harris-Stowe? * With the exception of Sigma Gamma Rho Sorority Inc., the Black Greek organizations in St. Louis are considered citywide chapters. Citywide means that the chapter may consist of several universities at any given point, including Harris-Stowe, SLU, WASH U, UMSL, Fontbonne, Webster and Maryville. 4. How do you become a member of a Black Greek letter organization? 5. Who should I contact if I am interested in a particular organization? b. Contact an active member of the chapter in which you are interested in joining. It is very important that you contact a member(s) of the particular chapter of interest; they are the members of the organization that can vote you into their particular chapter of their organization. 5. Are the Alpha’s and AKA’s, Delta’s and Omega’s, Kappa’s and SG Rho’s brother/sister organizations? A. No, formally the only constitutionally bound organizations are Phi Beta Sigma Fraternity Inc. and Zeta Phi Beta Sorority Inc.
6. Are there nicknames, chants, steps unique to each of the Black Greek Organizations? A. Yes, however, only the privilege of membership would allow you or someone else to use the nickname, call, chant or step. Therefore, they are only to be used by members of the Greek community. Non-Greeks who attempt to imitate members of the Greek community are considered disrespectful and may be shunned from membership. 7. Why do Black fraternities and sororities use Greek letters instead of an African-based alphabet? A. It is important to understand that the Greek writing system and philosophies has very close ties to Africa, particularly Egypt. Each of the NPHC organizations employs some type of reference to Africa within the organization.